Kids love themed desserts. And popsicles. And lemonade. 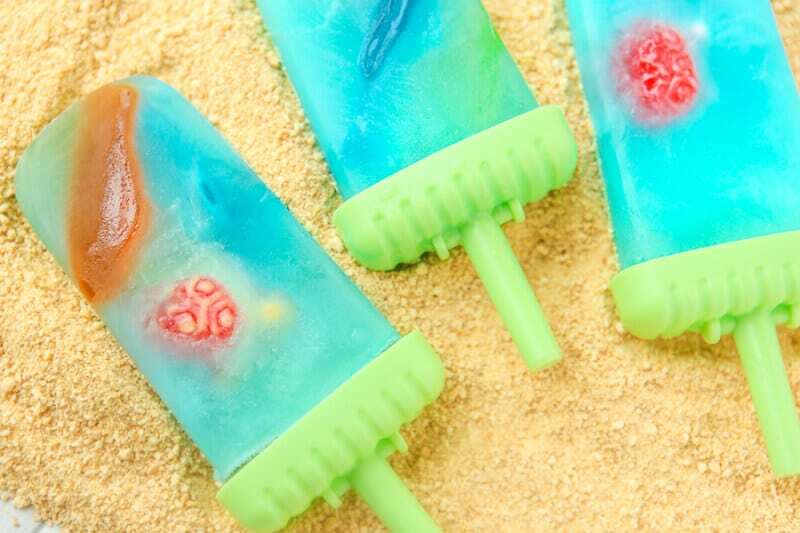 These blue lemonade popsicles are a combination of all of those things and the perfect way to beat the summer heat. And they won’t take you any time at all to make, especially if you use a Zoku quick pop maker that lets you make popsicles in just minutes rather than waiting for them to freeze for hours! Put ONE drop of blue food coloring in your lemonade to give it that nice ocean blue tint, any more and it’ll look darker than you want and you won’t be able to see anything. And you want people to see those cute gummy turtles and sharks! 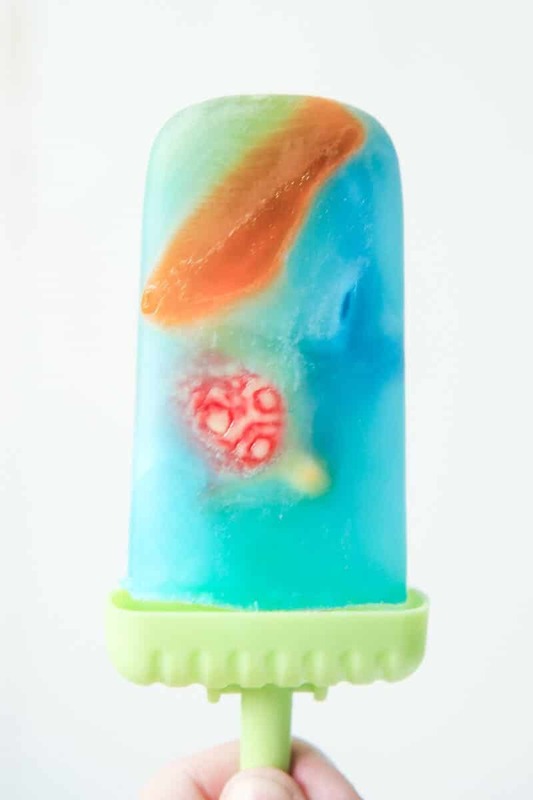 Before putting lemonade into the popsicle molds, place your gummy ocean creatures inside, pushed up against the sides of the molds. Doing this before you put in the lemonade gives you the best shot of having the creatures show up when the popsicles are frozen. 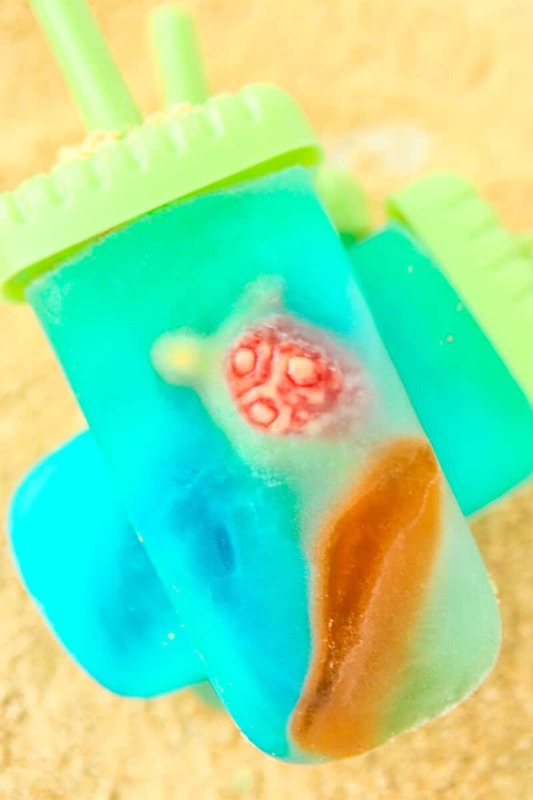 Once you’ve added your gummies, pour in your lemonade, making sure to hold the popsicle mold at an angle to keep your creatures pressed up against the sides. Freeze for a few hours then enjoy along with these funfetti pops on a hot summer day! 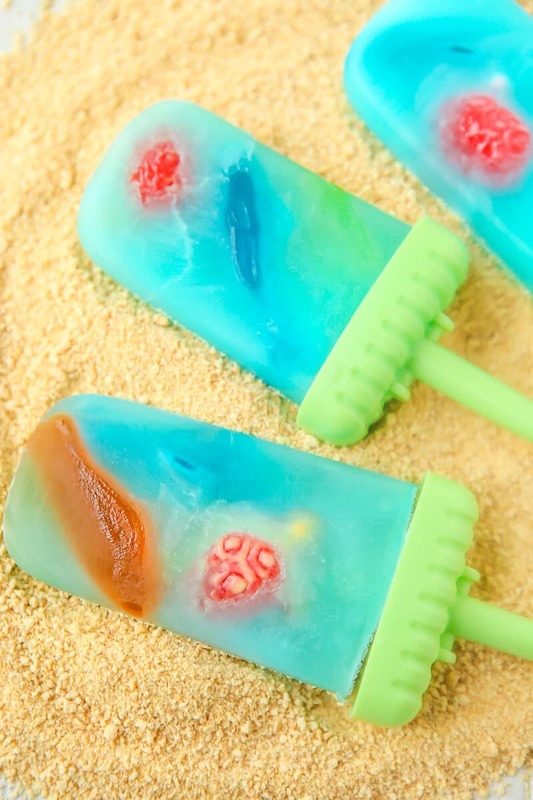 And if it’s not hot enough yet, pin them to your frozen treats board to try later! Or set up an entire ocean (or Finding Dory) themed party with all of these other fun ideas from my favorite creative foodie friends!